This week is my NFC North preview of the Detroit Lions. I’m not sure what to think of the Lions. Lots of teams build off of what they did the season before. However, when I think of the Lions, I really just feel like they missed their opportunity. I really hope I’m not jinxing the Packers with that statement. Here is how their last season turned out. 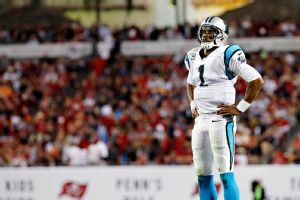 They went 11-5 finishing in second place in the NFC North division and earned themselves a 6th seed in the NFC playoff picture. They ended up losing to Dallas. The coaching staff is the same, at least for the big 3. This will be Jim Caldwell‘s second year as head coach. The offensive coordinator remains Joe Lombardi (last year was his first year as an offensive coordinator, previously a QB’s coach for the Saints) and the defensive coordinator remains Teryl Austin (previously a secondary coach for the Ravens from 2011-2013). Matt Stafford is back again. Eh. 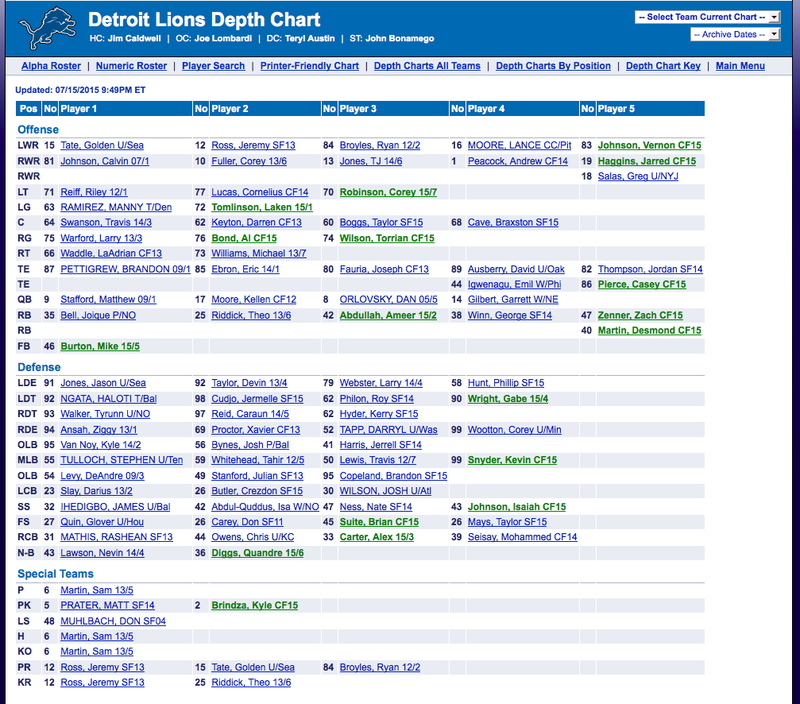 Weapons on offense at wide receiver are still Calvin Johnson and Golden Tate. As for a third receiver, there really isn’t much of a choice. There is Fuller and then there is Jeremy Ross, whom I hate because he screwed up so many kick returns for the Packers, then goes to the Lions and does a bang up job. Screw you Jeremy Ross, screw you. Really, the next best weapon for the Lions is at their tight end position. Pettigrew is someone on paper that you want to love, but having had him on my fantasy team I can tell you he is not what he is all cracked up to be. Fan favorite Fauria could emerge as a threat as well. Last season he was severely limited with an ankle injury. The other possibility is Eric Ebron. As for running back, thank God the Lions finally released Reggie Bush. Why give him the ball? He made matters worse every time he handled the ball last year. It looks like this year Riddick and Bell will again be sharing the carries. The biggest offseason change is a tremendous one. Ndamukong Suh is no longer a Lion. I do not see how you let him go. It’s insane. He, like many others, has found his way to the Dolphins. I know Suh’s contract was huge, he got 60 million guaranteed and 114 million 6-year contract, but still … how do you let him go? In his place they now have Ngata from the Baltimore Ravens. That is so not the same thing, let’s all be honest. The biggest play makers for this team are Suh and Johnson. Suh will be sorely missed. Also gone is Fairley. Here is a great article about both their departures from ESPN. 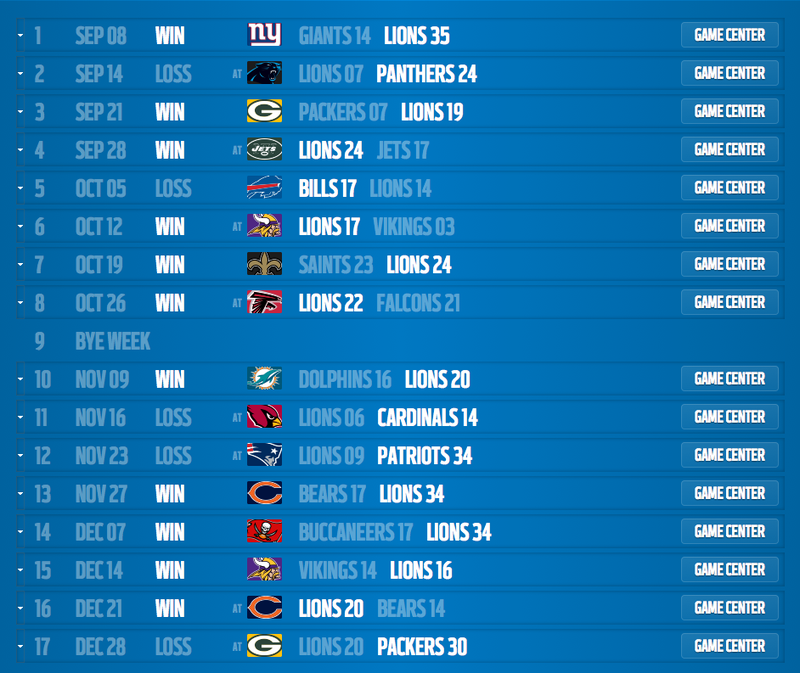 I’m not sure what my prediction for the Lions upcoming season will be. I always worry about the Lions. 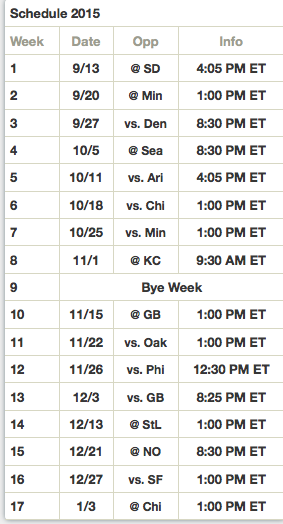 A few plays here, a few plays there and things could have been very different in the playoff picture last year. I still maintain that if Green Bay could have finished the game again Seattle, we would have won the Super Bowl. However, I didn’t see the Lions advancing past the Seahawks or the Patriots. Let’s see how they do this year with the coaching staff perhaps more together as a unit and some of the Lions old habits of dirty play out the door with Suh. Perhaps 2015 will be the year for the Lions to shine.